Game freezes and locks up completely at any point past the first world where I use the horn to unlock information. Have to use task manager to exit. Game is beautiful, but utterly unusable for me. Can't get a screen shot but I took a photograph of the screen. Hi SmartK9s, I'm not on Amanita Design support staff but I'll try my best to assist you. Personally I'm not running Windows 10 but from what I'm reading online if you've recently installed the so-called "Anniversary Update" on your laptop that could be what's causing the problem. There's more info at the link I've provided. Meantime, the other suggestion I have is to try starting Windows 10 in safe mode, stat playing Samorost3, and see if that stops the freezes. Good luck and please post a follow up when you figure out the fix. Thanks. Getting in and out of safe mode is crazy complicated in windows 10! But I did it. 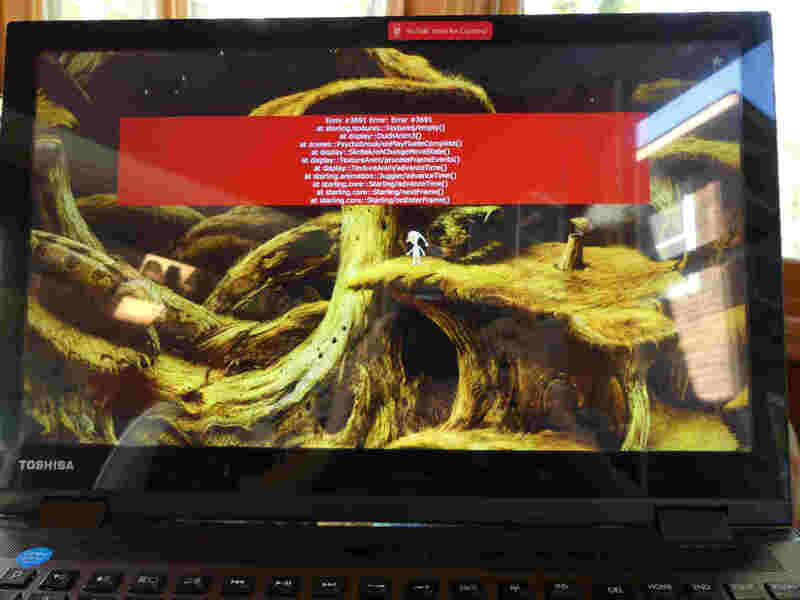 Sadly, Samorost 3 doesn't run at all in safe mode. The program appeared to open, but once it got to the start page with the circle, horn and star - the program froze up completely and I had to boot task manager to even exit. Yeah, from what I've read online the process of getting in and out of Safe Mode in Windows 10 is hecka complicated! Too bad it was all for naught. Except that now you know how to get there should you ever (heaven forbid) catch a virus or some malware sneaks in and you need to be in Safe Mode to remove it. But you never answered my question: Are you up to date on all MS recommended Windows 10 software updates? Thinking about what else to try I just remembered the one thing we always suggest that folks do: Re-Download the game. It is possible that the installation you currently have was corrupted a bit while downloading and that could be what's causing the "Starling" crashes. Good luck and please post a follow up once a solution is found.